Let's just tell it like it is: our summer program is awesome! The 10-week program is designed to give you an accurate idea of what it is like to be a Quarles & Brady lawyer (plus a lot of free lunches). Our summer program means that you will be given a healthy variety of real work assignments for real clients (see Real Work Experiences). And you will have a chance to "try on" as many practice areas as you want during your summer with us. If you're already interested in a specific practice area, we will do everything we can to make sure you work with firm lawyers on projects in that area. Here is a promise: if you are one of our summer associates, you will be a better legal writer by the time your summer ends. We have many ways to make you a better writer, including a multi-part writing seminar taught by a very engaging and knowledgeable professor, as well as frequent feedback from your reader and assigning attorneys. An important part of your summer experience will be your practical training opportunities. Many of them are not really out of the office, but get over it—we're talking semantics here. 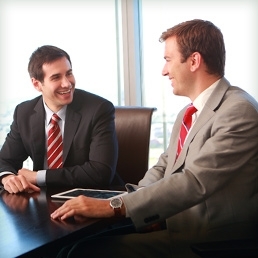 You'll get to accompany firm lawyers to hearings, depositions, closings, client meetings or trials. This will help you get a flavor for many aspects of the practice of law, learn through observation and participation, and get a sense of when you have to wear a suit. Quarles & Brady's summer program includes spending time having pure fun! 2018 Summer Program events included a Welcome Dinner at the Chopping Block, Jazzin' at the Shedd Aquarium, Field Museum Tour (Chicago); Golf Outing, Quarles Cares Event (Indianapolis); Concert on the Square, Partner Hosted Soiree, and Radicals Game (Madison); MillerCoors Hard Hat Tour and Meeting with General Counsel, Brewers Game, Milwaukee Art Museum Tour, and Harley Davidson Museum Tour (Milwaukee); Scavenger Hunt, Progressive Dinner party, Poker Night, Diamondbacks Game, Trip to Jerome (Phoenix).